Research in protected areas contributes to our understanding of the dynamic processes of nature. It is a tool to justify how and why it is better to apply non-intervention and non-extraction management, especially for European Wilderness. Examples show alternative solutions to often used methods, like logging, culling and other preventive interventions. Wilderness offers researchers the unique possibilities to better understand how we can support natural processes in other protected areas. During the 6th International Symposium for Research in Protected Areas, the European Wilderness Society was asked to present our vision on a joint partnership between research and wilderness. It is important to have a clear understanding what Wilderness means, read more information on the European Wilderness definition here. Natural rewilding of Wilderness is the natural process how Wilderness restores itself in Europe. It offers scientific opportunities to study the transformation from human impacted ecosystems to natural ecosystems. For example, we can observe how nature reclaims the former military grounds of Königsbrücker Heide Wilderness, Germany. 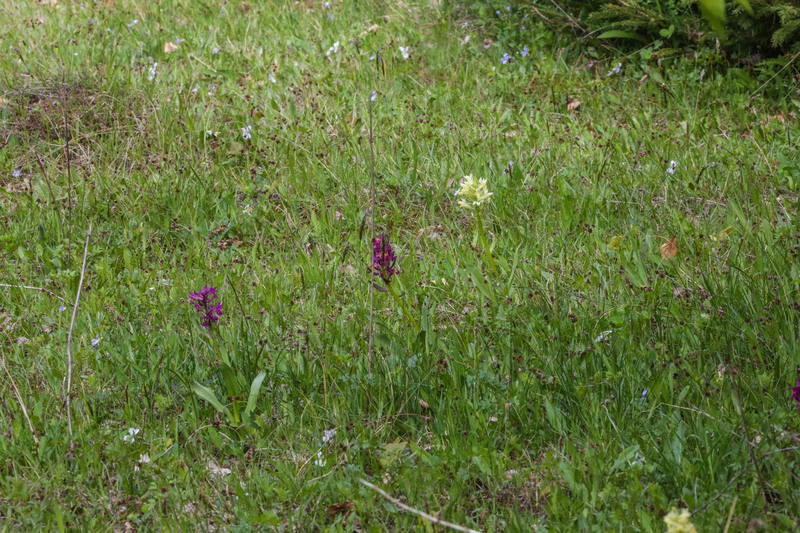 Or how former grazing areas transform into wild alpine meadows in Hohe Tauern Wilderness, Austria. Wilderness is creating the unique chance to study how nature develops in a self-willed mode (i.e., dynamics of the ecosystems, self-regulation principles, spontaneous dynamics of population). For example, how peat bogs in Soomaa Wilderness in Estonia continue to develop by themselves. Or how populations of different species develop in the beech forests of Central Balkan Wilderness, Bulgaria. These areas not only open new horizons for scientific research, but also provide an opportunity to apply the gained knowledge to other Wilderness areas. It offers the opportunity to perform comparative studies, for example how do terrestrial areas like Majella Wilderness in Italy, marine areas like the Archipelago WILDCoast in Finland, WILDRivers like Mala Uholka and Velyka Uholka in Ukraine, and WILDIslands like Vilm in Germany cope with rising temperatures. Wilderness offers the chance to study the resilience of nature and its self-regulating natural processes. Human impact affects Wilderness constantly, without human intervention management techniques to assist them. For example, how does Wilderness cope with invasive species and its population dynamics? How do other anthropogenic impacts like increased nitrogen deposition affect Wilderness? We can observe examples of these self-rewilding processes of the forests after windfall or insect attacks, like in Uholka-Shyrokyy Luh Wilderness, Ukraine or Kalkalpen Wilderness, in Austria. Wilderness and science need each other to understand and communicate the processes and values. This supports awareness raising and acknowledgement among people. It is good to be aware that Wilderness itself does not need science for its survival. Wilderness is self-regulated by nature. But science could be a way to provide answers to questions linked to Wilderness conservation and restoration of wild areas. Scientific research in Wilderness must be non-extractive and non-intervention and respect the principles of the Wilderness definition. Additionally, we must develop an Wilderness Integrated Monitoring with habitat independent scientific indicators to compare Wilderness all across Europe. Retezat Wilderness – New Publication!